This statistic shows data on the market share of the leading operating systems (excl. smartphones) in Germany from January 2009 to September 2018. 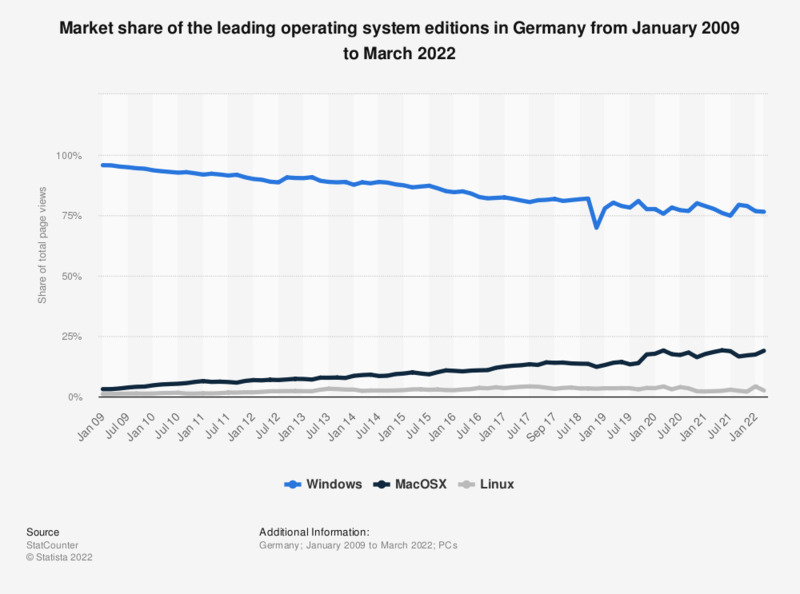 In September 2018, the operating system Windows had a market share of 82 percent. StatCounter gathered this data from over 386 million page views per month (as of September 2015). Everything On "IT industry in Germany" in One Document: Edited and Divided into Handy Chapters. Including Detailed References.